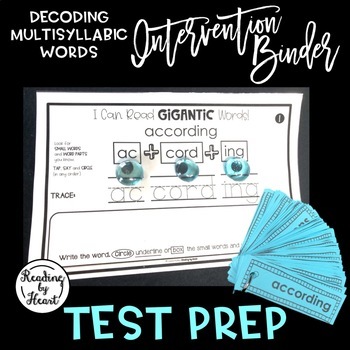 This reading intervention binder gives your struggling readers practice recognizing some of the multisyllabic words they may encounter in testing situations. 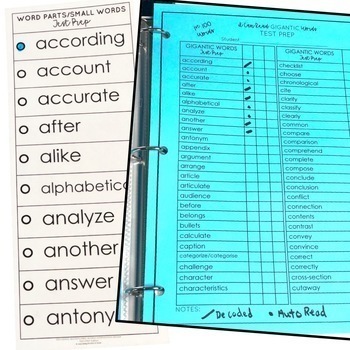 The decoding intervention binder is a one-time prep notebook of GUIDED PRACTICE pages designed for one-one and small group advanced decoding intervention. STUDENTS LEARN TO DECODE 200 TESTING WORDS. 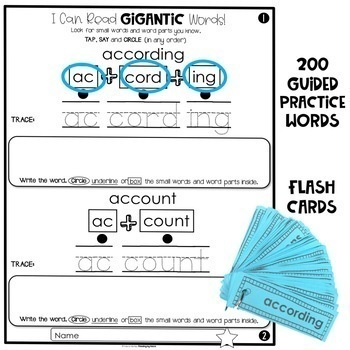 STUDENTS THEN USE FLASHCARDS AND TASK CARDS TO PRACTICE WORDS THEY’VE JUST LEARNED TO DECODE. Students write on and wipe off using dry erase markers. 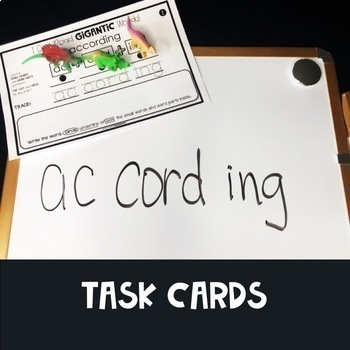 MAKE FLASHCARDS for group and/or individual use.